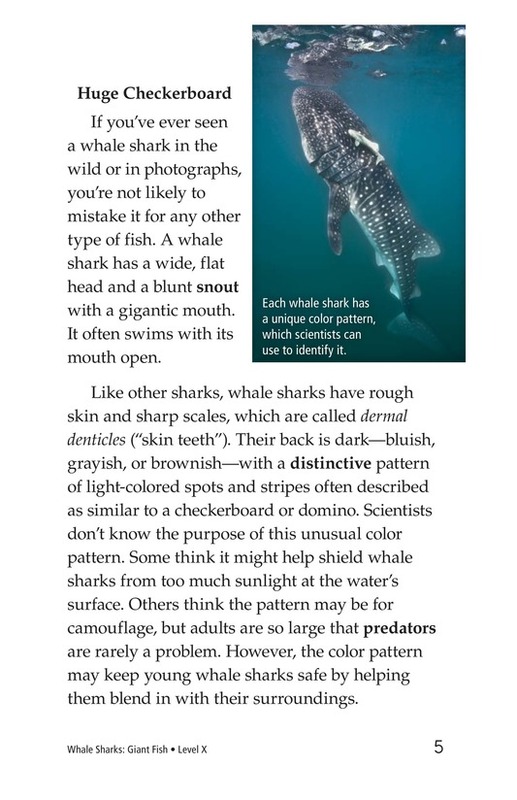 Whale sharks are the world's largest fish, but don't let the name fool you. 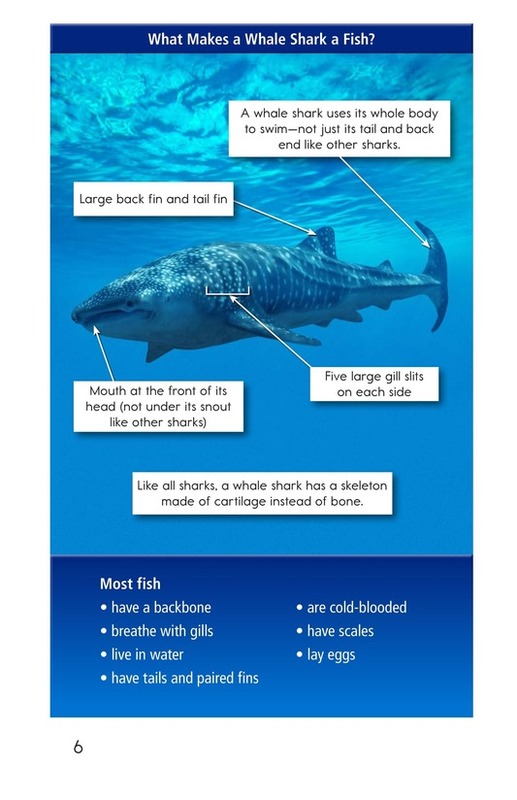 These gentle giants are nothing like most other sharks. 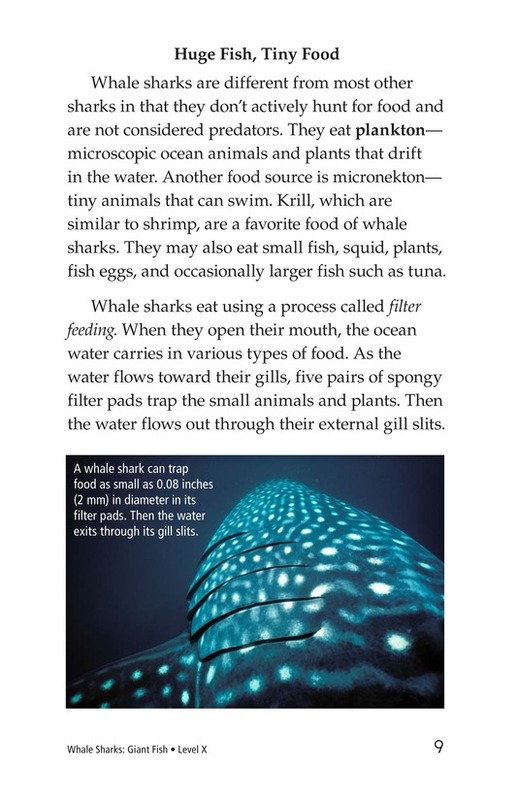 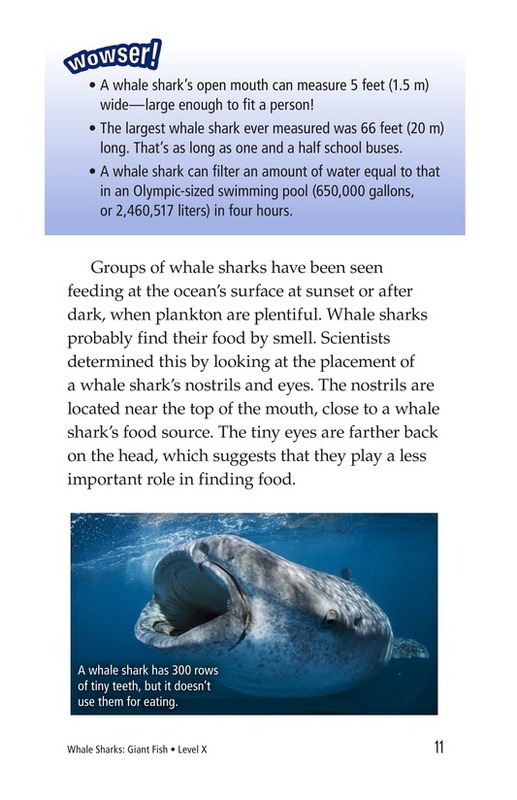 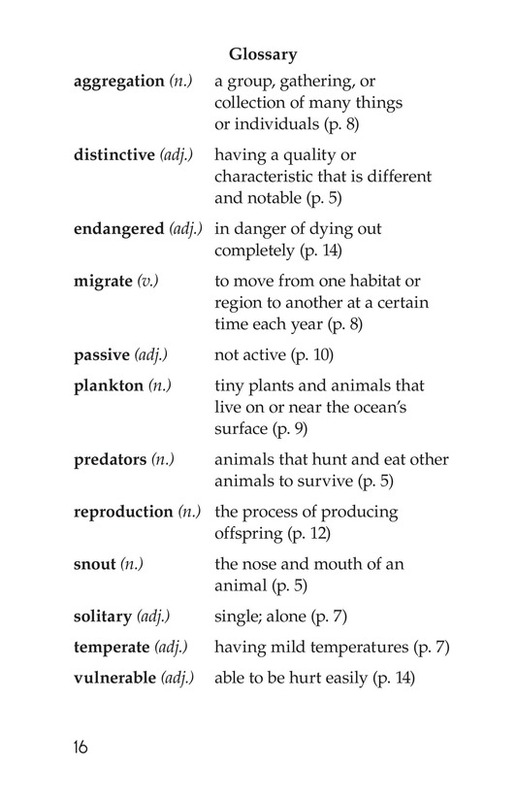 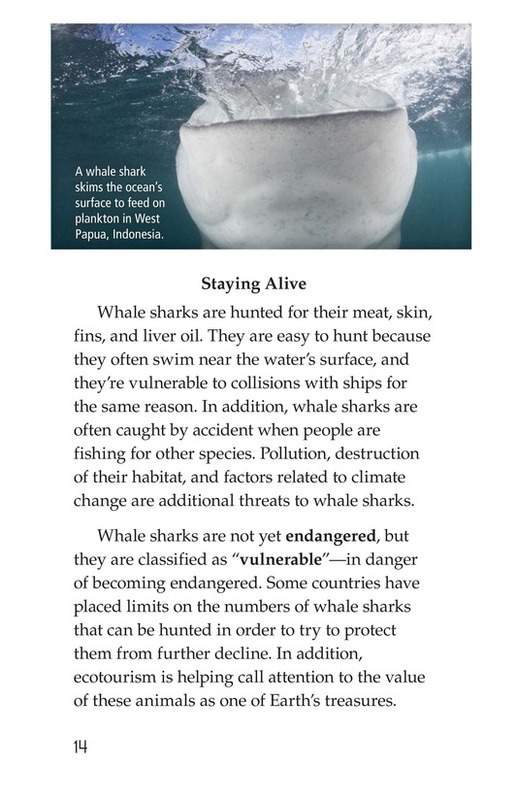 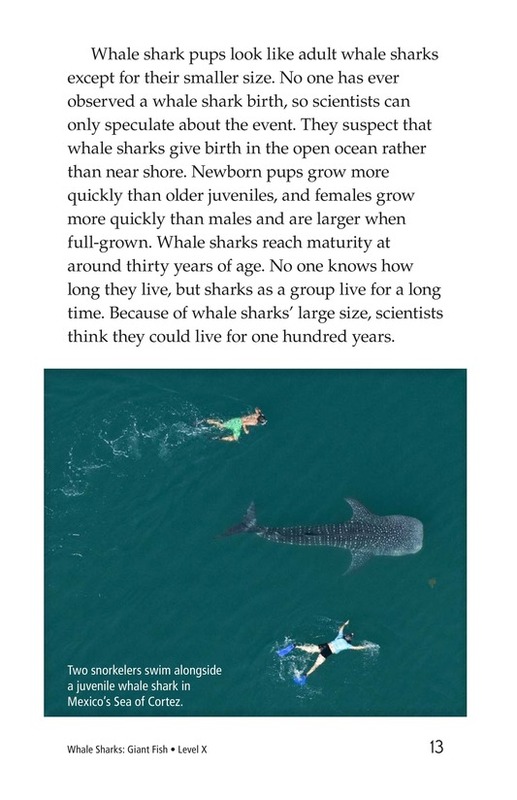 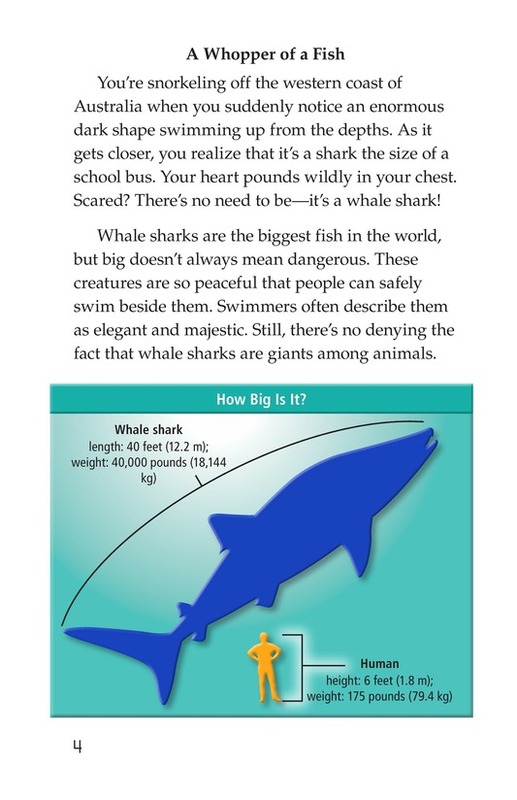 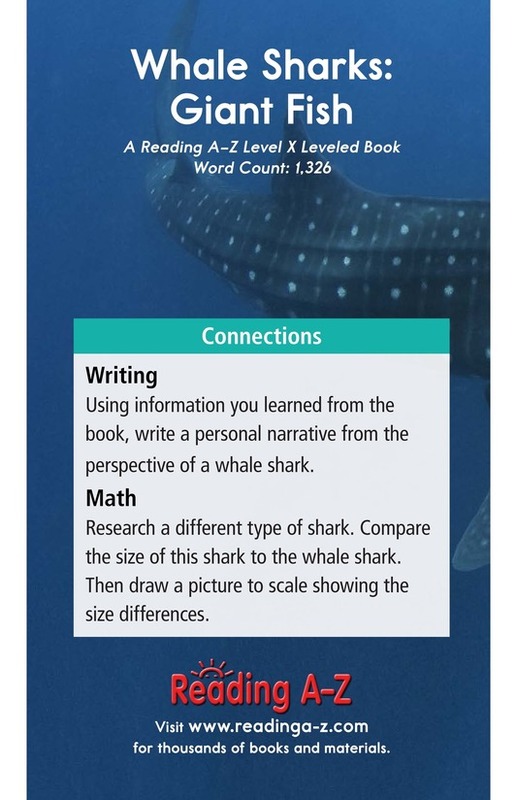 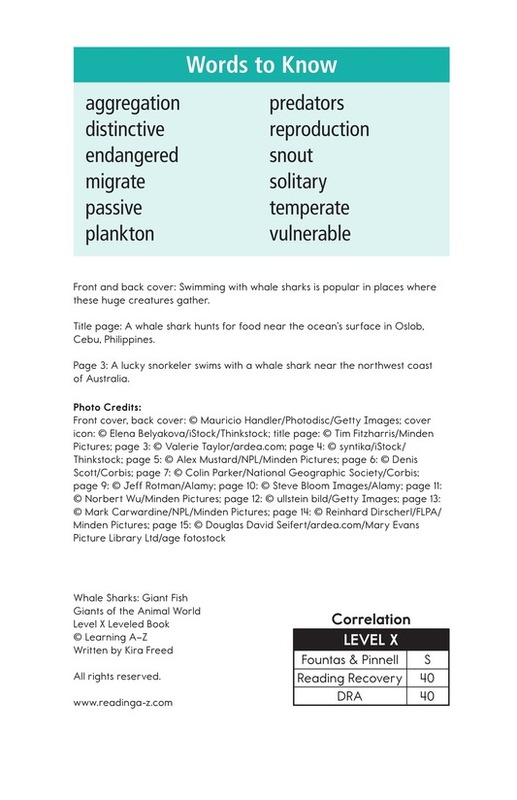 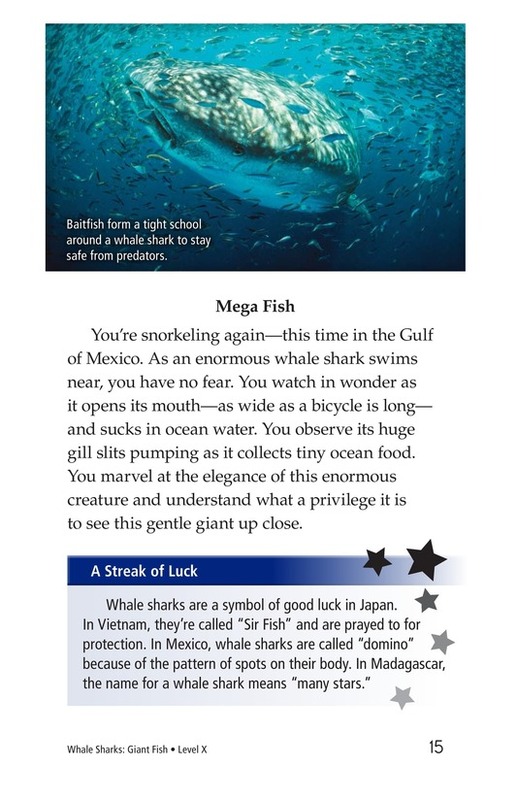 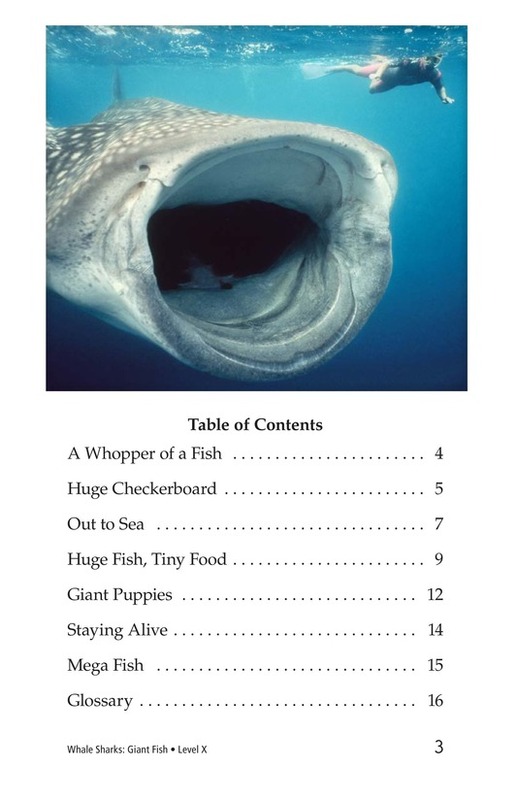 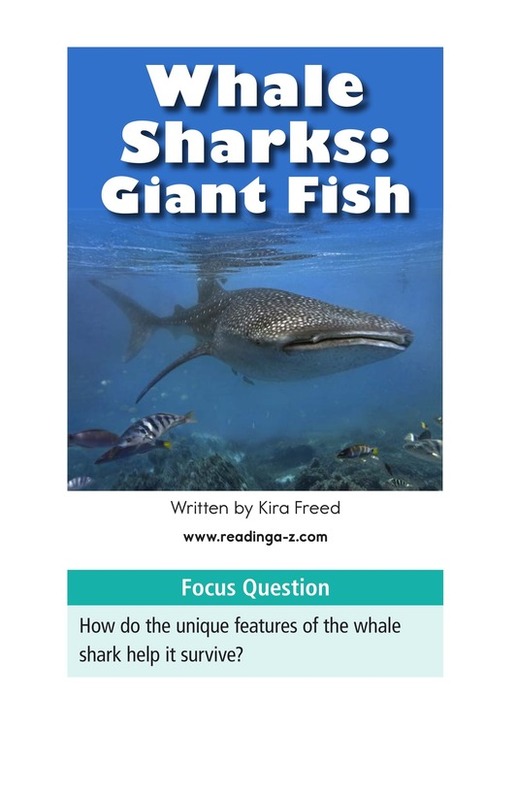 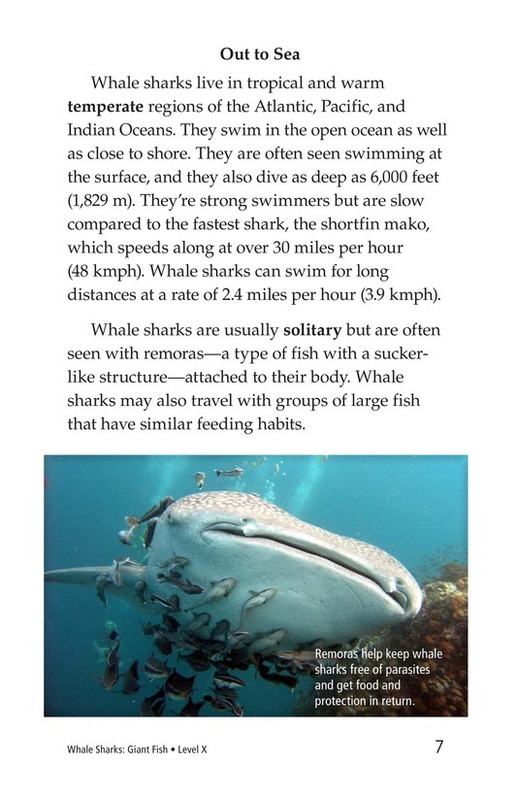 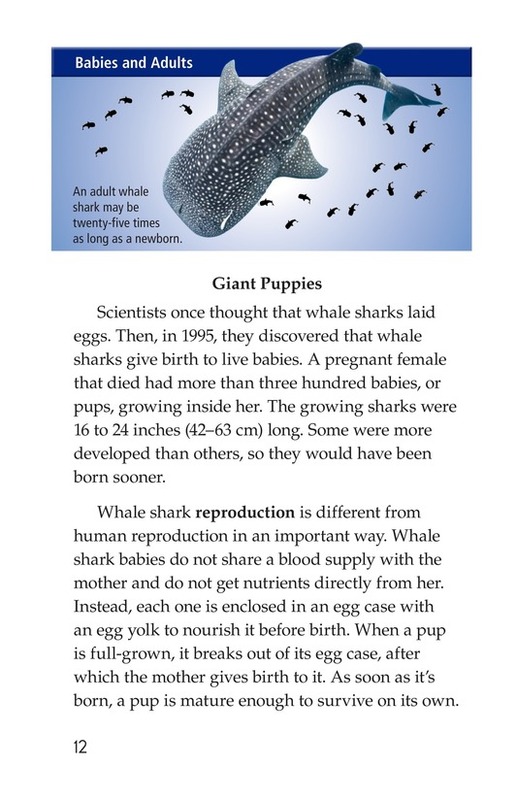 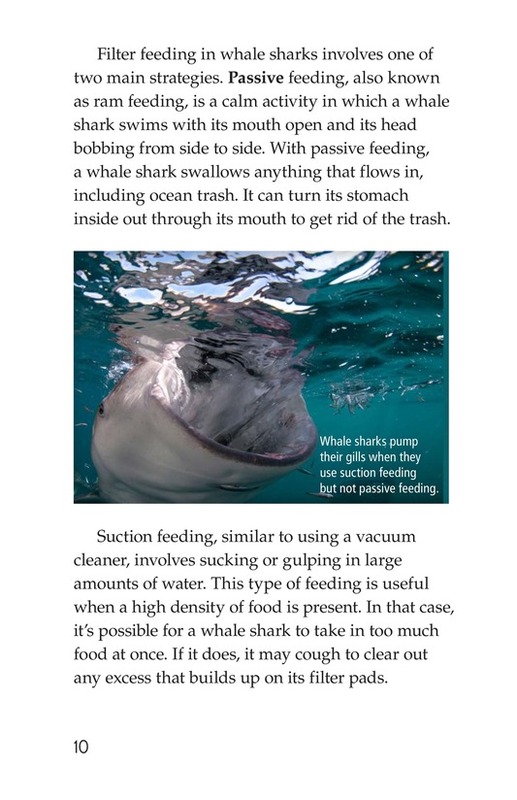 Students will enjoy reading about how these creatures eat, migrate, reproduce, and more. 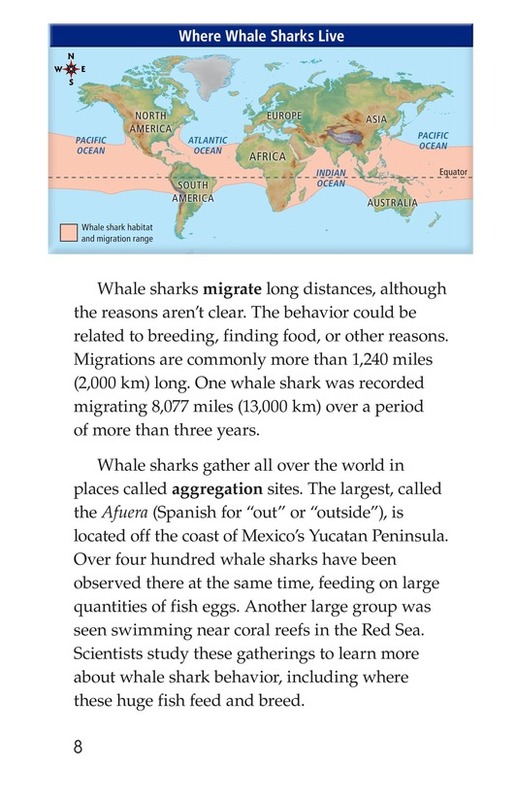 Maps and fascinating images support the text.